Canadian-born pianist chanteuse Diana Krall recalls a childhood filled with family and music. Her parents' love for jazz led her to associations with Oscar Peterson and other heroes. Here Krall recalls Christmases past on Vancouver Island and Christmases present with husband Elvis Costello and their young twins. Meet two men of great musical distinction, New Orleans songman and piano player Allen Toussaint, and his collaborator and longtime fan, Elvis Costello who tell us about recording The River in Reverse in New Orleans and a post-Katrina landscape. Texas-born musician T-Bone Burnett has played with Bob Dylan and served as a producer with Roy Orbison, Elvis Costello, and Gillian Welch. Burnett discusses here his work with the Coen Brothers on the soundtrack for the movie O Brother Where Art Thou. 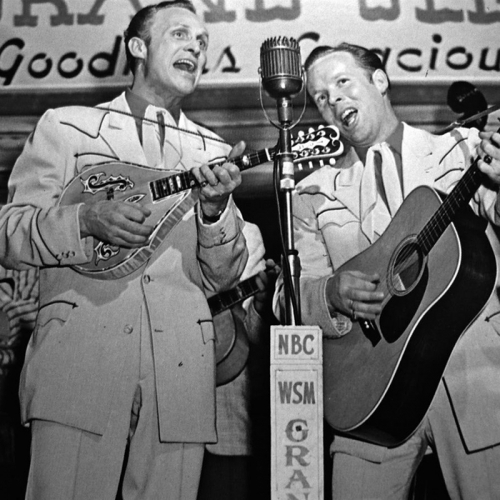 With historic material given new treatments by Ralph Stanley, Emmy Lou Harris, Gillian Welch, Chris Thomas King, and actor Tim Nelson, O Brother gives music the royal treatment in a way rare to Hollywood. We celebrate the songmaker, piano "professor" and producer from New Orleans who passed away suddenly in November 2015. A beloved Creole gentleman, Allen Toussaint was a hometown hero and giant on the American music scene. He wrote over 800 songs and produced regional and national hit records such as "Java" (Al Hirt), "Mother-in-Law" (Ernie K-Doe), "I Like it Like That" (Chris Kenner), "It's Raining" (Irma Thomas), "Yes We Can" (Lee Dorsey) among others. Toussaint worked closely with the Meters, Neville Brothers, Dr. John, Paul McCartney and Elvis Costello. He is in the Rock 'n' Roll Hall of Fame and received the National Medal of Arts. Allen Toussaint's famed autobiographical song is "Southern Nights." We celebrate the songmaker, piano "professor" and producer from New Orleans who passed away suddenly in November, 2015. A beloved Creole gentleman, Allen Toussaint was a hometown hero and giant on the American music scene. He wrote over 800 songs and produced regional and national hit records such as "Java" (Al Hirt), "Mother-in-Law" (Ernie K-Doe), "I Like it Like That" (Chris Kenner), "It's Raining" (Irma Thomas), "Yes We Can" (Lee Dorsey) among others. Toussaint worked closely with the Meters, Neville Brothers, Dr. John, Paul McCartney and Elvis Costello. He is in the Rock 'n' Roll Hall of Fame and received the National Medal of Arts. Allen Toussaint's famed autobiographical song is "Southern Nights." We're seeking out the "American" in American music with two eclectic artists: Elvis Costello and Carla Bley. 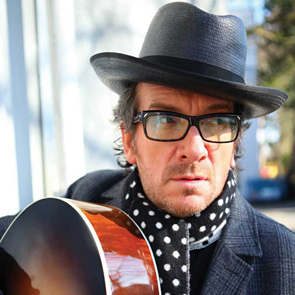 For British songman Elvis Costello, American music has shaped much of his musical creativity. We'll hear about his love of American country and blues, his musical upbringing in Liverpool, and his current fascination with P.T. Barnum. For the inventive and eccentric jazz composer Carla Bley, the National Anthem proves an unlikely source of inspiration. Bley brings wry humor to a conversation about the challenges of writing for her very big bands, her early days as a cigarette girl in NYC jazz clubs, and why America might be famous for baked beans. Meet two men of great musical distinction--New Orleans songman and piano player Allen Toussaint and his longtime fan and current collaborator Elvis Costello--who tell us about recording in post-Katrina New Orleans. Plus a tour of some famous New Orleans restaurants by none other than Nikki Silva and Davia Nelson, better known as the Kitchen Sisters. The pair take us to two kitchens of two sisters, apiece--that makes six in all.